We now have a mailing list of people looking for this cat. I’m looking for a 2002 RUSS pink cat from the Berrie Baby Line lying on its side. It has lavender stripes coming partway down its head and back and big ears. 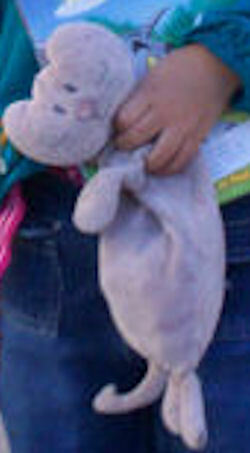 My daughter is one of four children, and this lovey was lost while traveling. All 3 of her siblings have their loveys, and she feels very lonely without hers. We would like to replace her lovey for her, as she prays for it every night. Do you still looking for this cat?